Streaming music service Pandora has given Windows Phone users something more to love today with the latest update adding voice commands, recommended stations, and more. The new update’s recommended stations show you all of the stations that you might like and give you a more “personal” way to enjoy the Pandora experience. Additionally, richer sharing via your social networks has also been added with the new update. The most notable feature, is the app’s new sleep timer. Now you can use your voice to start the Pandora app by saying simply “Pandora play” or “Pandora find” followed by a station name. For example, my favorite station is British Folk so I would say “Pandora, play British folk” and it now plays the station I ask for. 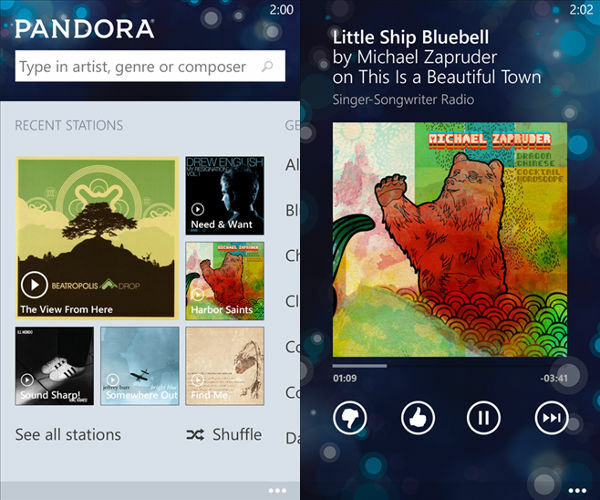 If you’ve been using Pandora since the days of Windows Mobile, you’ll undoubtedly already be enjoying the new features. If you’re new to the app (or haven’t downloaded the update yet), be sure to get it via the QR code above.